2D CNC has the solution. Installing a machine to fit exacting production requirements involves a huge investment in time and resource. That is why 2D CNC Machinery offers a full turnkey service: from sourcing the machine, agreeing the specifications and liaising with third parties through to installation, training and offering full, ongoing technical support. That is also why the company only uses high quality components from Roemheld. 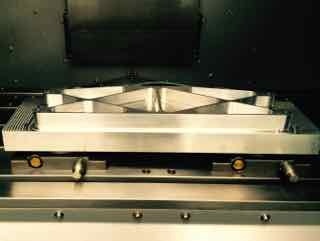 The 2D CNC team have individually and collectively used the Roemheld product range for many years and all of the company’s showroom Wele machines are fitted with Roemheld elements. This commitment to quality and precision is an important factor in the success of the total solution approach offered by the business. 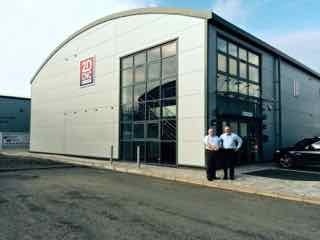 For David and his fellow Director, David Johnson, supplying leading machine tool solutions is a labour of love. David Johnson has worked for 27 years with Toyoda in the UK, while David Holden has spent a large part of his career working with Mitsui Seiki and Toyoda. They met whilst David Holden was working for 600 Centre as General Manager and David Johson was working for Toyoda UK as Service & General Manager. 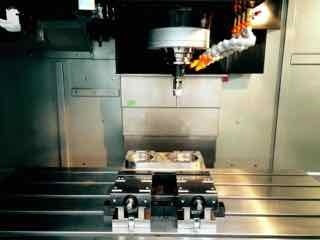 They then set up 2D CNC in 2009 to supply high-value technologies to all industries including automotive, aerospace, construction, die/mold, medical, power generation and general machining sectors. 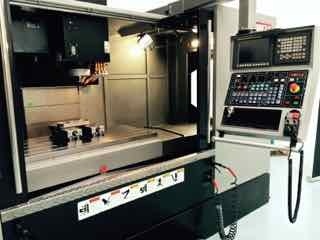 2D CNC is the UK distributor for Toyoda, Mitsui Seiki, Wele, Reiden and Fermat CNC machine tools. The company offers customers 24 hour, UK-wide, service and support via its dedicated support team of experienced, factory trained mechanical, electrical and commissioning engineers. An understanding of the entire technology ’value chain’ enables 2D CNC to support customers at every stage of the process: from product introduction and volume manufacturing through to service and support for the lifetime of the machine. The company is confident that this investment in new premises alongside its proven ability to offer high quality, turnkey solutions, will ensure 2D CNC remains competitive within the machine tool marketplace.